PHUKET: Governor Norraphat Plodthong today (Sept 24) received a petition from a local action group calling for the Prime Minister to intervene in the concessions being offered to two “crucial” oil and gas fields in the Gulf of Thailand, and accusing officials of breaching ethics requirements mandated in the Constitution of Thailand. 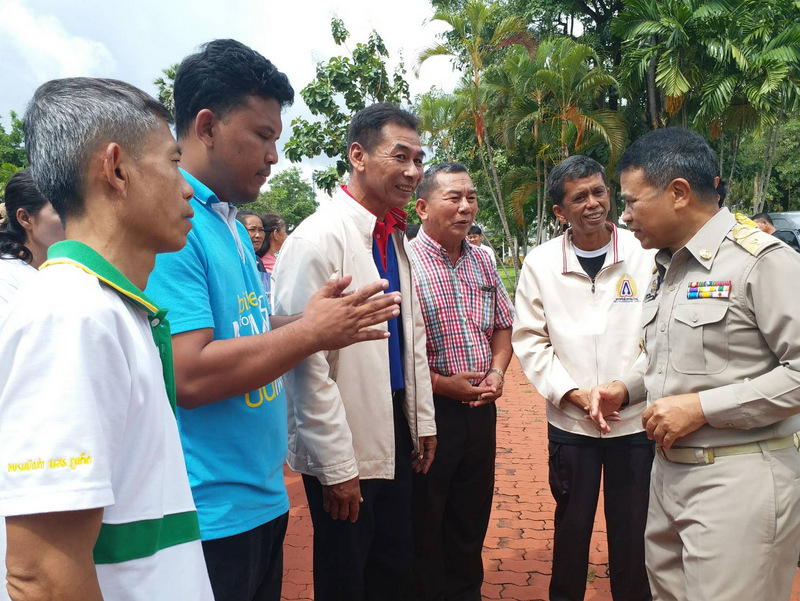 Somkid Bangtong, President of the ‘Power for the People of Phuket’ community action group, presented the letter to Governor Norraphat at Phuket Provincial hall this morning (Sept 24). 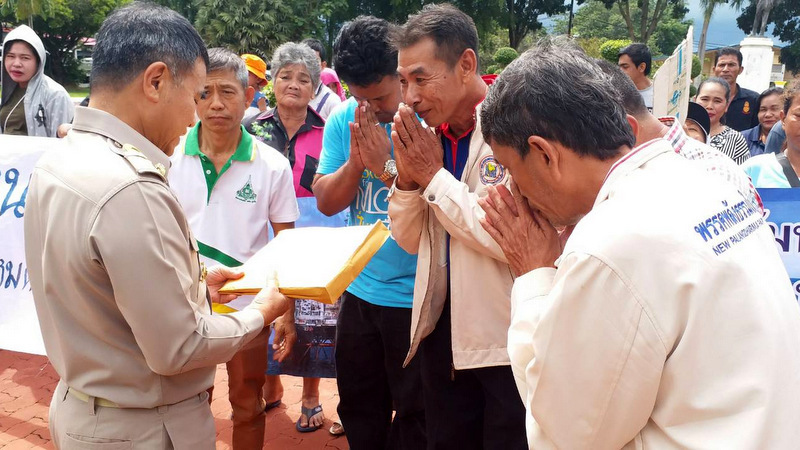 Present to support Mr Somkid were about 50 members of the action group. 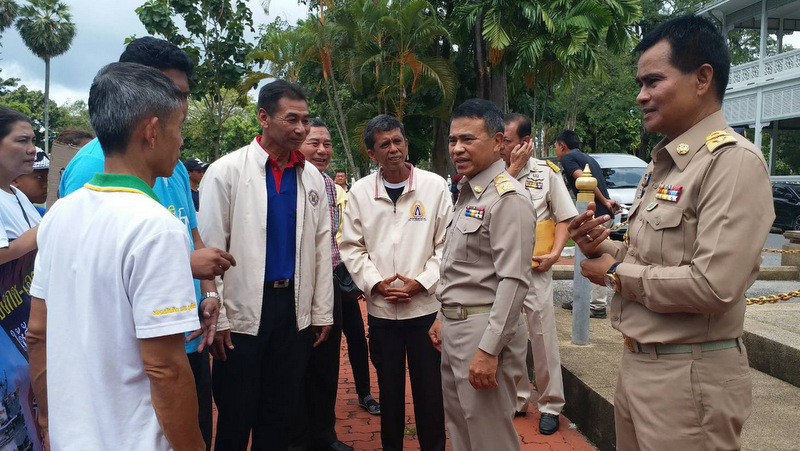 “We’re asking the Phuket Governor to take this document that has 1,059 signatures from our supporters and give it to the Prime Minister,” Mr Somkid said. The petition also called for the Prime Minister to modify the structure of energy costs in Thailand by reducing gas and petroleum cost byat least B3 per kilogram, which is estimated to cost B100 billion per year. “Our members saw a big mistake in the relevant laws that led to a breach of Section 164 of the Constitution of Thailand 2017,” Mr Somkid said. 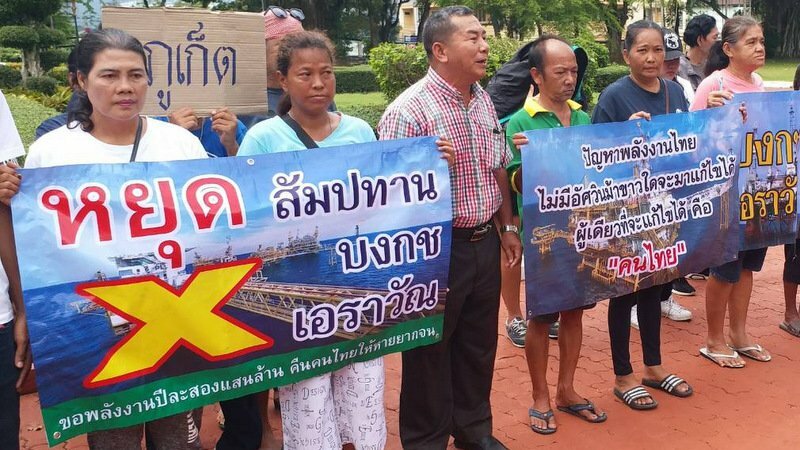 However, Mr Somkid gave no explanation of why people in Phuket were objecting to the concessions for those two oil and gas fields in the Gulf only, and did not clarify exactly what the group accused the Ministry of Energy, or others, of doing. Ministers shall be individually responsible to the House of Representatives for matters under their duties and powers, and shall also be collectively responsible to the National Assembly for the determination of policies and implementation of policies of the Council of Ministers. Of note, the Ministry of Energy rates the two fields as “equally crucial and urgent” and as the “jewels of the crown among Thailand’s gas fields accounting for a combined 75% of the Gulf fields’ outputs of natural gas”. The Ministry of Energy Annual Report for 2017 noted, "An equally crucial and urgent mission is to prepare the bidding round for concessions nearing their expiry in 2022-2023, namely the Erawan group and the Bongkot group, the jewels of the crown among Thailand’s gas fields accounting for a combined 75% of the Gulf fields’ outputs of natural gas of massive value, fueling power generation, serving as petrochemical feedstock, and yielding LPG (cooking gas).